Sophie Frost is an interdisciplinary scholar of Visual Culture and Cultural and Creative Industries, based in London. 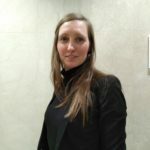 She was recently AHRC Creative Economy Engagement Fellow at CAMEo (Cultural and Media Economies research institute) at University of Leicester, where she undertook a digital impact of study of Phoenix Arts Centre, which lead to the publication of ‘A Digital Road Map for the Arts’ (2019). 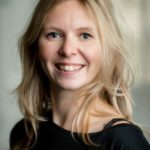 Sophie lectures on the BA Arts and Festivals Management course at De Montfort University and leads the case study module at Southbank Centre for King’s College London’s MA Education in Arts and Cultural Settings. Sophie also works as a freelance research consultant for a range of arts organisations, including Southbank Centre and Freelands Foundation, an arts education charity established in 2015 by Elisabeth Murdoch. Royal Pavilion & Museums’ Digital Fellow will be exploring ‘personal storytelling’: the interpretation of RPM’s collections, buildings and knowledge through the prism of identifiable individuals applying their unique perspective and tone of voice, in contrast to the anonymous authority of the traditional public discourse of the museum. In simpler terms, this will be looking at how museums tell stories with a more personal voice, and what skills and confidences are required to do this. Yoti Goudas is a UX consultant, service designer and digital project manager with 20 years of experience working for high profile organisations in the public, private and not-for-profit sectors. Originally from Toronto, he has worked on and delivered many wide-ranging and complex cross-organisational digital initiatives in both North America and Europe. 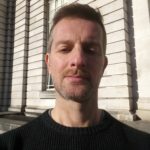 National Museum Wales’ Digital Fellow will be conceiving and testing approaches that help the museum’s staff to develop ideas, confidence and skills in the use of digital platforms, as well as finding ways that build internal communities of practice around their digital work. With a Ph.D. in Design (2012), Marco Mason is a two times Marie Curie research fellow specializing in Design Research for Digital Cultural Heritage. 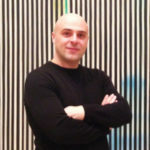 He has carried out research and taught in leading research centres such as the School of Museum Studies in Leicester and the Massachusetts Institute of Technology that seek an interdisciplinary approach at the intersection of design, digital humanities/heritage, museum studies, and social science for the study of digital media design and its practices. Derby Museums’ Digital Fellow will help the museum team to think about how to create a moment to stop what they’re doing, reflect honestly and establish what they’re trying to achieve and why. Using Derby Museums as a test bed for applying ideas to live digital projects, they will prototype approaches to creating adaptable conditions for reflection and change across digital projects. 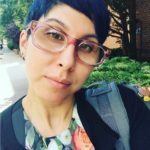 By day, Lauren ‘L’ Vargas is a digital dragon wrangler based in London, assisting companies with their community and communication strategies. Vargas was previously named by The Economist Intelligence Unit as one of the top 25 social business leaders. She graduated from Harvard in June 2014 with a Masters of Liberal Arts, Museum Studies and is completing a PhD in Museum Studies (focus: digital data collection and use) with an estimated April 2019 graduation. As a professional and adjunct university instructor, Vargas enables organizations and students to engage with the communities they serve by fostering authentic relationships built on trust and dynamic dialogue. What will these projects involve? The National Army Museum’s One by One project will focus on how the Museum can reposition digital leadership. The research will explore the value of a digital hub or working group as a site for shared skills development, and how that can be employed to deliver on a fully integrated digital component of what the Museum does. 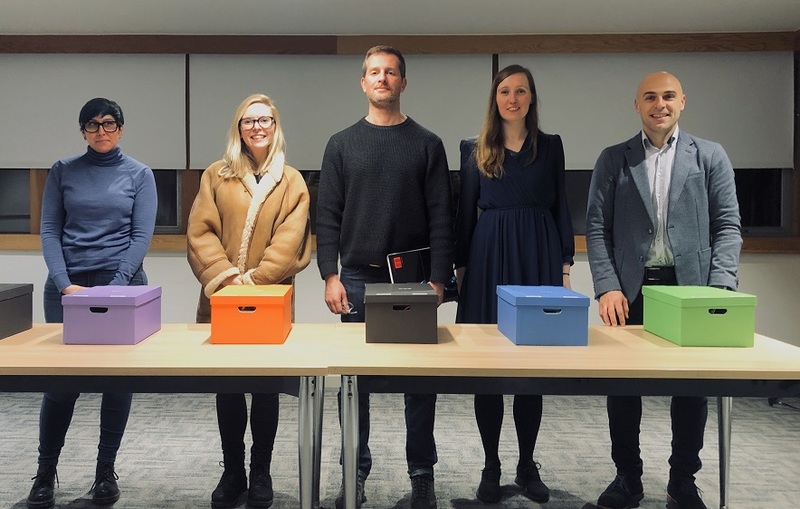 The Museum of London’s One by One project focuses on giving museum people the digital skills and resources they need to do their jobs on a practical, day-by-day basis, starting with the content they publish online and on social media. This project will give staff new tools to coordinate their digital work, establish common reporting methods and metrics to shape their planning, and build expertise and confidence in producing digital content across the organisation. Karin de Wild is passionate about interdisciplinary research in digital heritage and collaborated with a wide range of museums. Among others, she was part of the research projects Sustaining Ruby: Preservation Strategies for Internet Art (2017, SFMOMA, San Francisco) and Collecting and Curating Digital Posters (2017, Victoria and Albert Museum, London). In 2016, she co-organized the conference Digital Horizons, Virtual Selves: Rethinking Cultural Heritage in the Museum about digital heritage in anthropological museums (Research Centre for Material Culture, Leiden). National Museums Scotland is working with individuals across the museums to explore how they might help them to identify the digital skills they have and the skills they need in their specific museum contexts. They hope to help people improve where they need to, in order to be more effective in their roles and to have a positive impact on those around them.